Over at my own blog Muninn I have posted an entry talking a bit about the portray of Japan and Korea in the “Hall of Asian Peoples” in New York’s Museum of natural history. The court acknowledged concubines and gave supreme rights to the eldest sons of families. A person’s legal capacity was decided not by his or her age but by whether he or she had the intelligence to determine gains and losses. The Board of Audit and Inspection also said that the surface of a royal seal made for the concubine of King Sonjo rusted away and a turtle-shaped seal, made of jade for the wife of King Sonjo, had been destroyed. 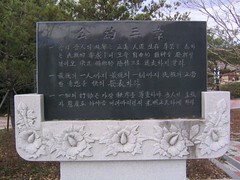 They said that every one of the of 316 seals owned by the National Palace Museum of Korea had been damaged in some way. Two wooden ships found off the coast of China last year have turned out to be extremely rare examples of Koryŏ flat-bottomed wooden ships. “It provides evidence that flat-bottom ships could sail as far as Shandong Province. Flat-bottom is a unique feature of ancient Korean ships unlike Chinese ships that had relatively pointy-shaped bottoms,” Choi Hang-soon, professor at the Department of Naval Architecture and Ocean Engineering at Seoul National University, told The Korea Times. “It seems the Koryo ships arrived in the Chinese port, and had some big repairs there,” said Choi, who participated in the international academic conference on the ancient ships last week in Penglai. In my constant search for quiet, smoke-free, and affordable coffee shops to study in, I recently came upon the Starbucks near Soongsil University (숭실대학교), which is only a few bus stops away from the Seoul University subway station. After spending a nice Sunday reading there recently, I wandered about the Soongsil campus and discovered that the university has a Korean Christian Museum. I came back to visit the museum on a less holy day and found that it has quite a bit to offer. 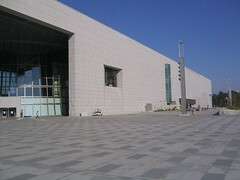 The museum has three floors. The first floor is dedicated to the history of Christianity in Korea, with sections covering Nestorianism 경교 (景敎) in East Asia (with some evidence of its spread to Korea, but I admit I was somewhat suspicious of this), Catholic inroads, and later missionary efforts. There are a number of interesting texts housed here, including very old writings about Korea, bible translations, early Korean language manuals used by missionaries, a text of a 1839 royal decree against Catholicism, and various early missionary periodicals etc. The second floor has one section dedicated to the history of the university beginning in the late 1890s, and a second section which has little if anything to do with Christianity at all. Called “Modernization and the National Movement” this room has all sorts of exhibits related to early modern and modern Korean history, including a great section dedicated to the development of astronomy and geography in Korea. The standard triumphant tale of Korean ingenuity, enlightenment and growing nationalism is narrated throughout, but the assembled artifacts on display are well worth the visit. Finally, the third floor has again nothing, that I could tell, to do with Christianity, but instead collects various archeological findings from earlier periods of Korean history. The museum is quite close to SNU and its offerings are considerably more interesting than the fixed exhibits on SNU’s own campus museum (As my fellow contributor Gyewon has pointed out, however, there are often very interesting temporary exhibits to be found there). While all the exhibits are labeled in Korean, the museum provides a great English language booklet with well-written explanations and pictures of most of the important museum exhibits. More Info: The museum has free admission and is open 10-16 Monday-Friday and 10-12 on Saturdays. 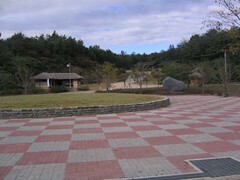 You can reach it by going to Soongsil University subway station, or by bus (751, 752, 753, 501, 650, 5511, 5517).